For a nothing less than incredibly stylish ensemble, consider wearing a grey suit and a navy dress shirt. 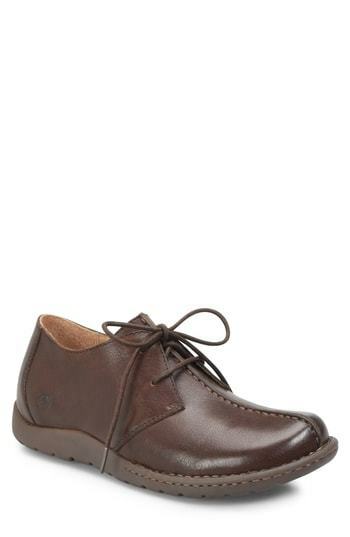 Brn Brn Nigel Lace Up Derby from Nordstrom will deliver a more relaxed feel to your ensemble. 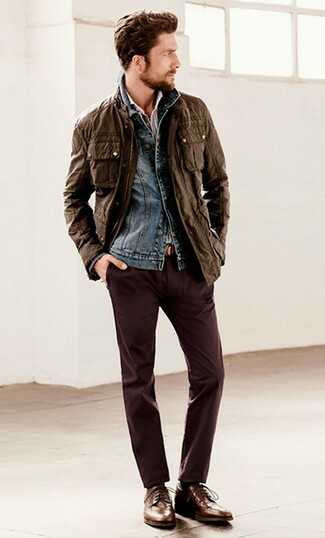 If you're on the lookout for a casual yet dapper ensemble, consider teaming a dark brown field jacket with burgundy chinos. As well as super comfy, these garments look fabulous together. Kick up the cool of your outfit by wearing Brn Brn Nigel Lace Up Derby. Consider teaming a dark brown plaid blazer with dark brown plaid dress pants for incredibly stylish attire. When it comes to shoes, this getup is round off nicely with dark brown leather derby shoes. 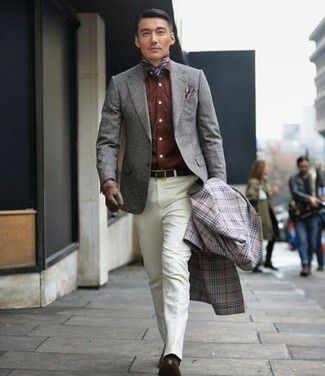 Dress in a grey plaid overcoat and white dress pants for incredibly stylish attire. Make dark brown leather derby shoes your footwear choice to have some fun with things. For a nothing less than incredibly stylish look, choose an olive blazer and black dress pants. For something more on the daring side to round off this getup, rock a pair of Brn Brn Nigel Lace Up Derby. If you're on a mission for a casual yet sharp look, reach for a navy vertical striped blazer and blue ripped jeans. As well as totally comfy, these pieces look wonderful when paired together. You could perhaps get a little creative when it comes to footwear and dress up your ensemble with Brn Brn Nigel Lace Up Derby. Contrary to what you might believe, looking stylish doesn't require that much effort. 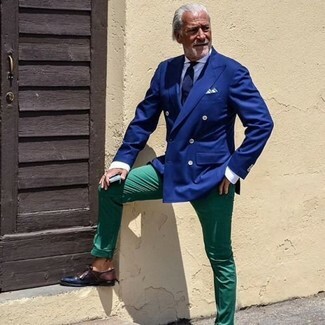 Just make a blue double breasted blazer and green chinos your outfit choice and you'll look wonderful. When it comes to footwear, this getup is complemented perfectly with Brn Brn Nigel Lace Up Derby. 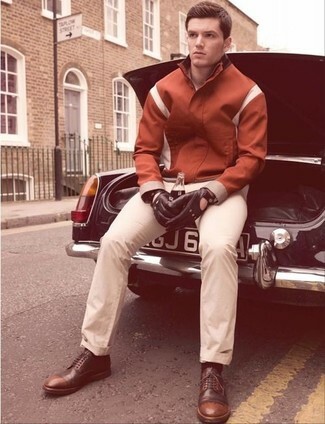 If you're on a mission for a casual yet on-trend outfit, opt for a tobacco bomber jacket and white chinos. As well as super comfy, these two items look stunning when paired together. Show your sartorial prowess with a pair of dark brown leather derby shoes. A charcoal suit and a burgundy vertical striped dress shirt are among the key pieces of a great man's wardrobe. When it comes to footwear, this ensemble pairs nicely with Brn Brn Nigel Lace Up Derby.